Dads are such an important part of our families. I know I am who I am today because of my dad! As he gets older I find the time with him even more precious and I want to create as many memories with him as I can. My husband is a wonderful father too and my kids are very very blessed to have him in their life! We always try to make Father’s Day special for the dads in our lives. A special breakfast with my husband and kids and lunch with my dad! We like the breakfast to be special for my husband to show how much we appreciate all he does for our family! 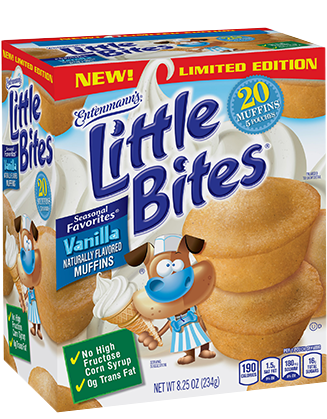 This year we will be adding a special treat to go with his breakfast, Entenmann’s® Little Bites® snacks. 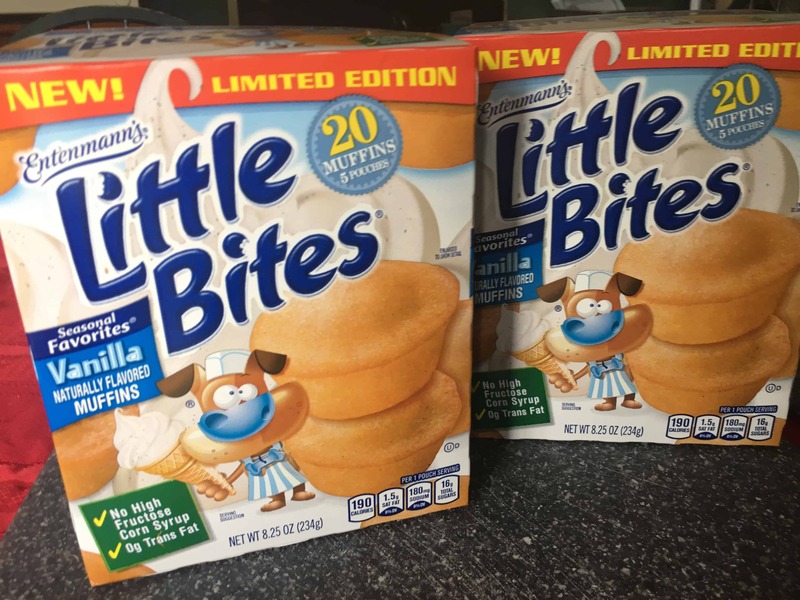 My husband and kids love Entenmann’s® Little Bites® snacks. When I buy these they never ever last long! They are full of flavor and so moist. They make the perfect snack or dessert! NEW Limited Edition Entenmann’s® Little Bites® Vanilla Muffins are a convenient, delicious snack the whole family will enjoy and will keep everyone #smilingtogether! My family devoured their vanilla muffins, they are a new favorite for sure! 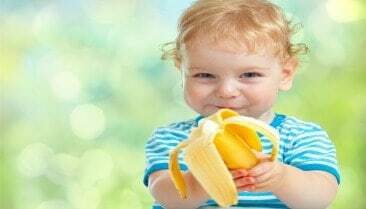 With less than 200 calories per pouch, Little Bites® Vanilla Muffins are a good source of calcium and vitamin D and contain no high fructose corn syrup or trans-fat, making them a snack kids will love and a choice parents can feel good about. To make dads feel extra special this Father’s Day, Entenmann’s® Little Bites® is treating 10 lucky guys to an Entenmann’s® Little Bites® Muffins tie and a coupon to purchase the beloved snack, and five first prize winners will receive the tie, a coupon and a $100 Amazon gift card to purchase any items they’ve been longing for through the Love Little Bites Father’s Day Sweepstakes. My favorite is the crumb cake variety, especially if I toss it in the microwave for 10 seconds. Blueberry muffins is our favorite. My daughters and I love the Little Bites Strawberry Yogurt Muffins! My favorite flavor is blueberry little bites! My very favorite are the brownie bites! Fudge brownie or party cake! My favorite little bite flavor is blueberry. Thanks for the chance to win!